On 20 February 2007, former Australian Minister for the Environment and Water Resources the Hon Malcolm Turnbull MP announced action to phase out inefficient light bulbs by 2009 – 2010. As of November 2009, due to these government regulations you’ll no longer be able to purchase standard incandescent globes. Minister Turnbull stated that the step should reduce Australia’s greenhouse gas emissions by 4 million tonnes per year by 2012. This is the equivalent to taking 1 million cars off the road or planting 4 million trees. Australia’s annual greenhouse emissions in 2004 totalled 564.7 million tonnes. According to the Australian government, lighting is responsible for 37% of greenhouse gas emissions; household lighting is responsible for 12% of the total greenhouse emissions and commercial lighting such as public and street lighting 25%. Lighting costs the community over $2 billion in electricity each year and it is predicted that converting to low energy lighting will save Australians 66% off their household lighting bills, or $1.3 billion per year. Low energy or energy saving lighting is about reducing the wattage used in a light fitting while maintaining similar light output. By using energy saving lighting you can generate huge savings on your electricity bills, and contribute towards building a better environment. Low energy lighting alternatives such as CFLs cost more to purchase, however the investment is outweighed by the fact that they use only 20% of the electricity consumed by a standard incandescent light globe. This produces significant savings on your power bills. Furthermore, CFLs will last from four to ten years, as opposed to a standard globe which lasts about one year, saving you the inconvenience of having to regularly purchase and replace globes. And most importantly, energy efficient globes reduce energy consumption and therefore help cut greenhouse gas emissions which are harmful to the environment. Australia’s leading national lighting retailer Beacon Lighting notes that consumers are today very conscious that they can reduce greenhouse emissions through opting for low energy lighting solutions and many have made the switch to low energy lighting alternatives. The Australian government has yet to announce the process by which incandescent lamps are to be phased out of use, nor have they provided details of any exemptions to banned lighting within the legislation and their subsequent phase-out process. Currently there are three proposals being considered and Beacon Lighting is working closely with the federal government and Australian Lighting Council to develop outcomes that benefit all stakeholders, in particular consumers. The lighting industry expects to see a gradual phasing out of inefficient light globes. According to Glen Robinson, Beacon Lighting Purchasing Manager, it is most likely that the government will commence the phase-out process by banning standard GLS globes in October 2008. This will be the first stage in embracing new technology that will substantially increase efficiency. Then, as energy efficient alternatives become available for other light globes, the government will ban the inefficient equivalent. Mr Robinson said that there will be no ban on any globe format until there is a direct replacement that is tested, proven and widely available to all consumers. He expects that after the standard bulb, floodlights will be the next incandescent globe to be banned from sale in Australia. Over the next ten to twelve years the Australian government will introduce legislation to improve the efficacy of light globes. Manufacturers must gradually reduce the wattage of globes, which generates carbon dioxide, while maintaining the light output (lumen). So in the future, the most energy efficient globes will require fewer watts to generate the equivalent light which will further reduce carbon dioxide emissions from lighting. Established in Victoria in 1974 and still proudly Australian owned and operated, Beacon Lighting is Australia’s leading national lighting retailer. The company specialises in domestic lighting and prides itself upon being an industry leader. For 15 years, Beacon Lighting has provided Australians with low energy lighting solutions. The company is committed to offering consumers the latest, high quality products and advice on energy efficient lighting and will continue to remain up-to-date with technology as it rapidly develops and evolves. An active environmental advocate committed to leading by example, Beacon recently announced a pledge to reduce its power usage by 20% across the business by 30 June 2008. This will ultimately lead to a reduction of the company’s greenhouse emissions by over 2 million kilograms. Beacon Lighting’s first step towards meeting this target was to fit all NSW stores with energy saving light globes wherever possible. The results will be measured at regular intervals to track greenhouse gas reductions, and the program will be implemented across all stores in the lead up to the national phase out of inefficient globes. In Victoria, Beacon has partnered with Sustainability Victoria for the Right Advice at the Right Place program. This state government initiative is designed reduce everyday environmental impacts by influencing consumers at the time and place when they are making purchase decisions that will impact on energy use in the home. Beacon Lighting is committed to remaining proactive and supportive of new initiatives that are beneficial to the environment. 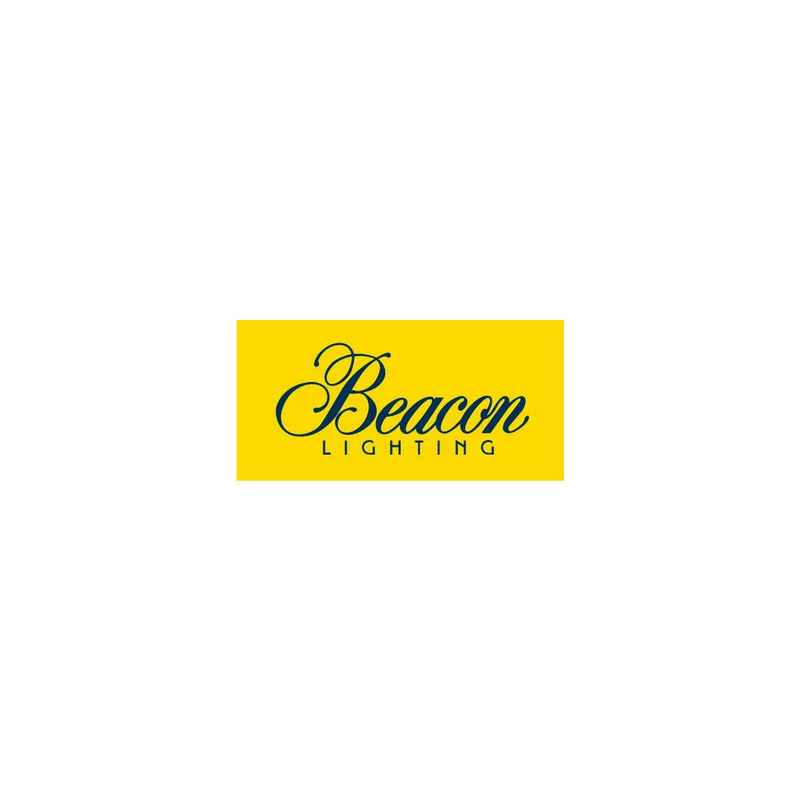 Beacon is member of the Australian Lighting Council and, as the only national retailer on the Council, Beacon’s input is vital, particularly given the company’s first-hand knowledge of consumer needs. Beacon is working together with the Australian Lighting Council and Federal Government to develop the process by which inefficient lighting will be phased out of use in Australia over the coming years. The following Beacon Lighting spokespeople have a broad, up-to-date knowledge of low energy lighting issues in Australia including the likely phase out process of inefficient bulbs, the latest low energy products, and future directions of lighting technology. Glen Robinson is Beacon Lighting’s primary buyer, overseeing the product selection process which includes the review of new, local and imported product submissions, product pricing and other related issues. Glen maintains an up-to-date knowledge of the lighting industry including global lighting trends, regularly traveling overseas to source from the latest innovations and technology. Ian Robinson has worked in the lighting industry for over 35 years. He established Beacon Lighting in 1974 and to this day the company remains proudly Australian owned and operated. Ian oversees the strategic direction and long-term growth of Beacon Lighting, and is also heavily involved in the buying of local and global products. Glen Robinson is the primary spokesperson on this issue and should Glen be unavailable Ian is available for comment. To arrange an interview please contact Angela Bishop on 0414 392 181. For further information speak with your Beacon Lighting customer service representative.